Have you ever eaten a pear straight off a tree? It is an experience like no other – although closely related to biting into a peach still warm from the sun while standing at the edge of the orchard where they were grown, or munching on sweet corn only snapped off the stalk hours before hitting the table. 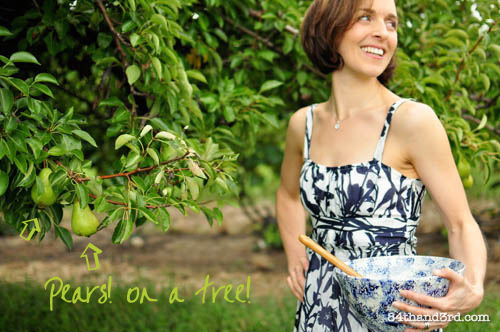 In my About profile pic I’m standing in my mum’s vineyard under a tree… a pear tree to be exact. Skirting the edges of the grape rows are a few pockets of these trees – remnants of an old orchard that used to contain pears, peaches and cherries. The gnarled old beauties get trimmed once a year and then generally ignored in favour of the acres of Concords. Yet neglect seems to see them flourish and somehow each year the trees produce a bumper crop of beautiful green pears which slowly ripen to a brilliant golden yellow. In autumn my grandmother would can bushels of them and they’d get eaten all winter and spring until the next crop appeared. As lovely as those canned ones are, nothing compares to a fresh juicy pear. 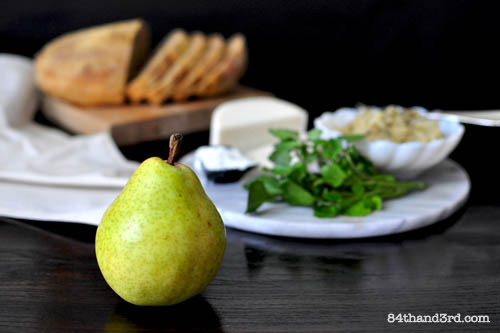 Australian Pear Growers are celebrating March as Australian Pear Month and as part of the celebration I was sent a box of Williams’ Pears and invited to participate in the ‘What can you pair with a pear‘ challenge. My first thought was, not surprisingly, CHOCOLATE! Followed very shortly thereafter by RED WINE! 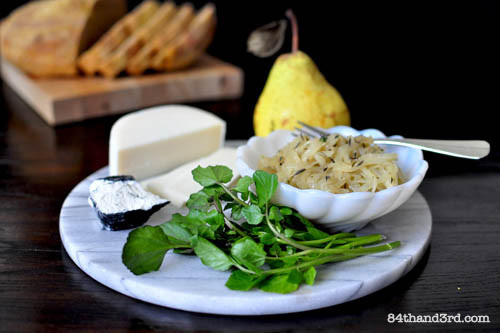 But I sat on it for a while – the recipe, not the pears – and slowly my direction changed to GOAT CHEESE! 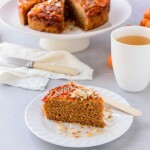 Now a platter – or a cake, or a tart for that matter – containing pears and chocolate and red wine and goat cheese would be divine, but the other day I needed savory. To be perfectly honest, I needed lunch. I had made a loaf of No-Knead Bread the previous evening and it was calling my name. So I whipped up a quick batch of Caramelized Onion Jam and started to layer. 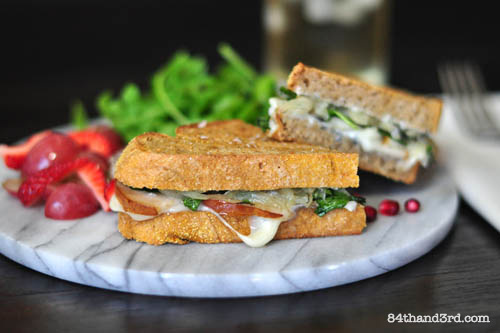 The resulting sandwich is a little bit sweet, a little bit savory. Crunchy outside, soft and melt-y inside. Um, yeah, heaven between bread. UPDATE: My recipe was selected by the Australian Pear Growers as the winner of the ‘What can you pair with a pear‘ challenge! 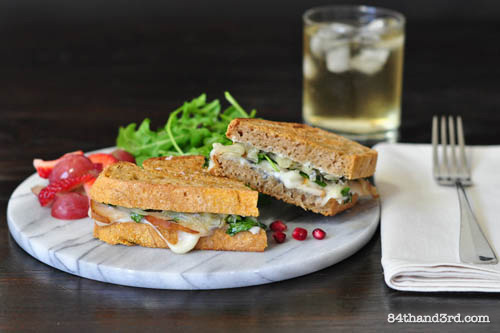 Spread two slices of bread with the soft chevre. Top one piece of bread with a layer of onion jam followed by a layer of sliced pear. Add a couple slices of semi-hard cheese followed by a small handful of watercress and a bit of fresh cracked black pepper. Top with the other piece of bread – cheese side down. Brush or spray with olive oil and grill in a non-stick pan over medium heat for 3-4 minutes each side until the cheese is melted and the ingredients are warmed through. You can also place in a sandwich press. Sprinkle with sea salt. 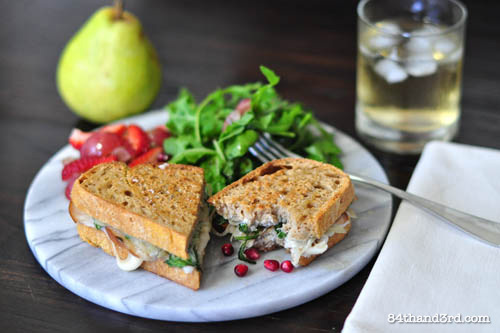 Serve straight or with a watercress and roquette salad, some fruit and a glass of iced green tea. This would work brilliantly as a bruschetta too. Dice pear and finely shred watercress, mix together and season with a pinch of salt and pepper. 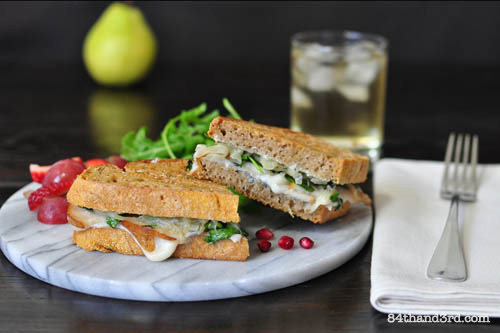 Spread slices of toasted bread with the soft chevre. Top with onion jam, followed by the pear mixture. Drizzle with honey or agave syrup and grill [broil] for a minute. 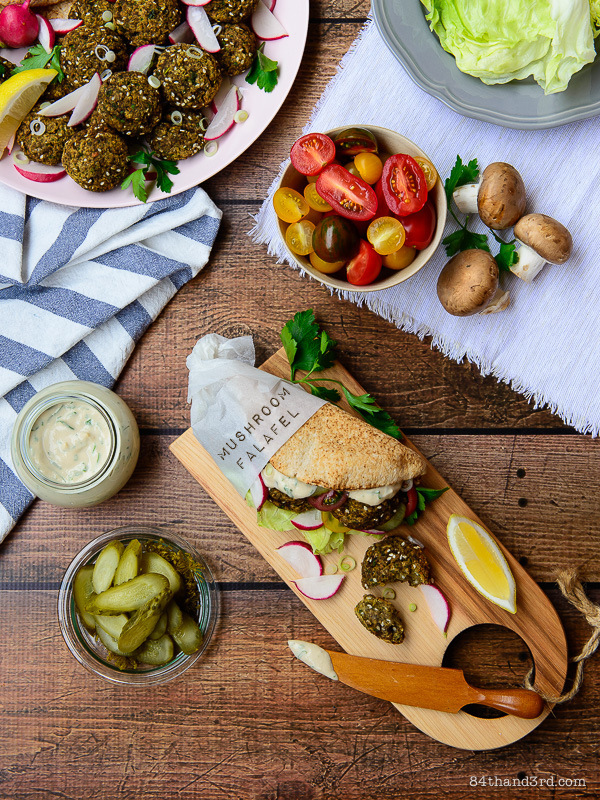 The pears used in this recipe were supplied by Impact Communications on behalf of the Australian Pear Growers – thanks ladies! Recipes, opinions, ranting and ravings all my own, as usual. Thanks Alana – I hope you do! that sandwich looks freaking incredible. i must have. now. I really want to know more about this Caramelized Onion Jam!!! Is it just what it sounds like? heehee – Posting that one tomorrow! Wow, these look and sound amazing! 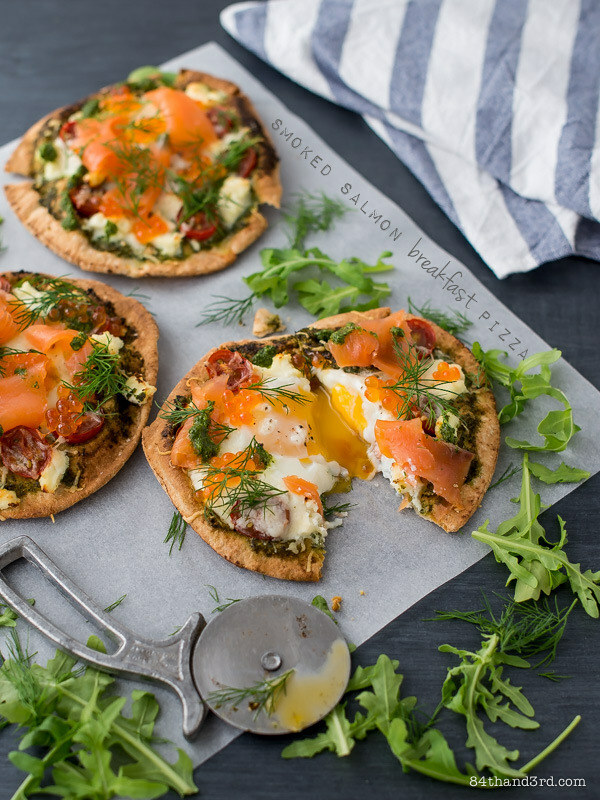 Just pinned these to make soon, thanks for the great recipe! Mmm this sounds like a fantastic sandwich JJ. All my favourite things coming together, especially the caramelised onion jam! I love that stuff! Oh how wonderful that your mum has a pear tree. 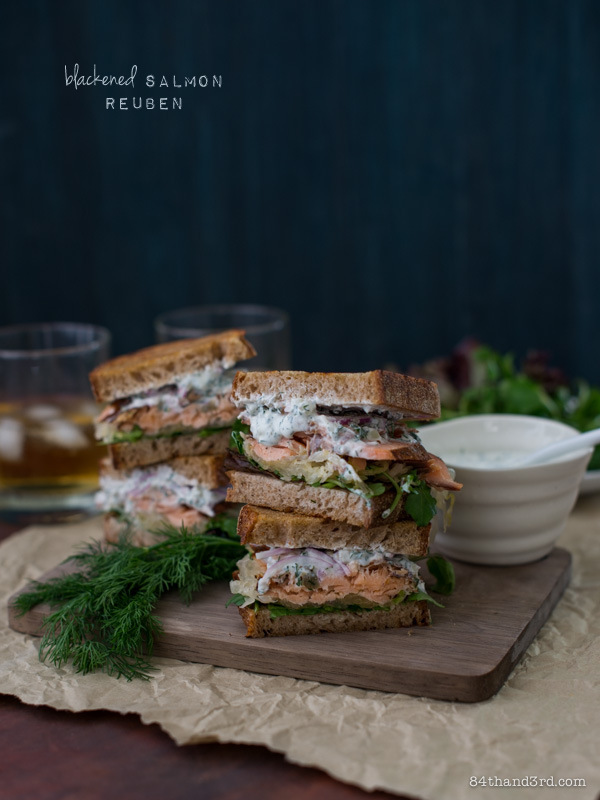 Love your idea for the sandwich, so deliciously different! Sounds wonderful…will try it this fall when the pears are ripe!